All Cockeysville homes currently listed for sale in Cockeysville as of 04/21/2019 are shown below. You can change the search criteria at any time by pressing the 'Change Search' button below. If you have any questions or you would like more information about any Cockeysville homes for sale or other Cockeysville real estate, please contact us and one of our knowledgeable Cockeysville REALTORS® would be pleased to assist you. "Masterful, custom design and luxury are embodied in this modern traditional home in the coveted Laurelford community. Fully renovated and redesigned, every detail of this residence was thoughtfully planned out and executed. 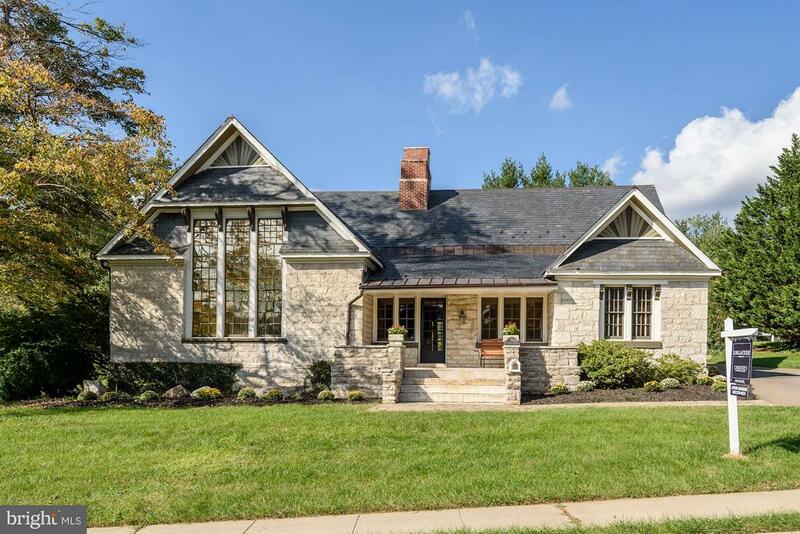 Upon entering, the exterior of the home boasts a handsome stone and HardiePlank exterior with a gracious, covered front porch with mahogany ceiling. The entry foyer impresses with an antique crystal chandelier and oak hardwood flooring with inlay. Enjoy a formal living room off the foyer with reclaimed block marble fireplace and French doors leading to the front porch. The open design of the main level is perfect for entertaining, including the spacious formal dining room with a walk-in China closet, a butler~s pantry, and wet bar area with Sub Zero wine chiller and refrigerator drawers. The custom chef~s dream kitchen by Cornerstone Design is impeccable, with Sub Zero refrigerator, 48~ Wolf dual fuel range and ovens, Thermador warming oven, Shaw farm sink, center island with additional sink, and more. The casual dining area off the kitchen offers additional space for large gatherings or cozy family meals. A generous family room concludes the main level, highlighted with book marked cherry veneered walls and coffered ceiling, rustic stone fireplace with grapevine mortar, solid cherry moldings and corbels, and floor to ceiling windows and French doors that lead to a rear Ipe deck that spans the length of the house. Equally as impressive as the main level, the second level offers a luxurious master retreat with cherry hardwood flooring, custom wood cornice boards, antique French chandelier, and master bath with a stone steam shower, slipper tub, separate vanities with granite countertops, a coffee bar and large walk-in closet. The second level also affords three additional bedrooms with cherry hardwood flooring, each with an en-suite bath and walk-in closet. 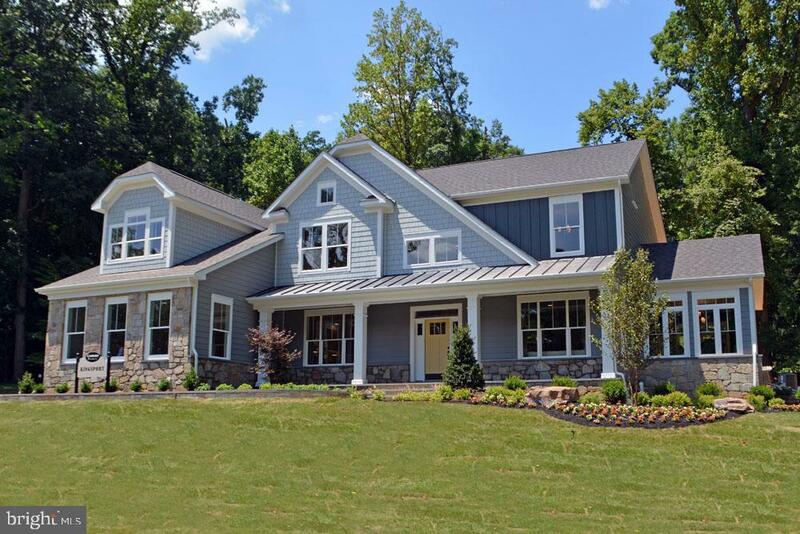 The third level presents an additional bedroom or craft room, full bath, and spacious play "
"Gorgeous Benhoff Builders 5BR/5FB custom built home boasting over 6500 sq ft of living space 2+private acres, Great room/FP, huge kitchen/hearth room /FP, First floor Master with sitting room. Beautiful millwork, custom cabinetry, hardwood floors.Patio, in ground pool/spa, extensive hardscaping. Your sanctuary in the desirable Falls Road corridor." 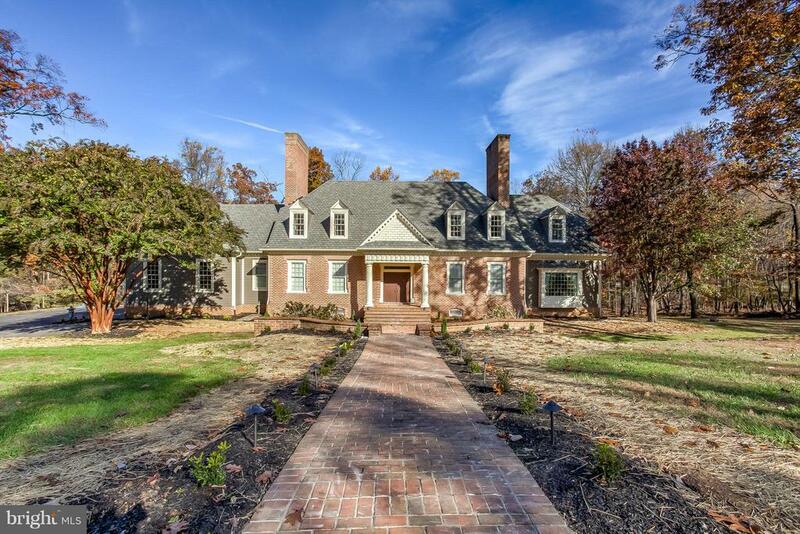 "Spectacular custom home in the Virginia Tidewater tradition built by Benhoff Builders. 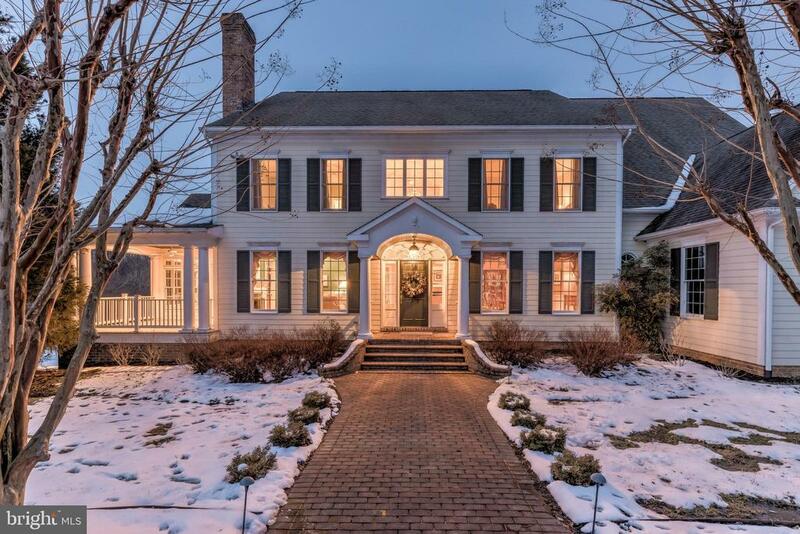 Magnificent millwork & trim, pine & Brazilian cherry flooring, 5 fireplaces. Formal rooms & intimate gathering areas. Stunning formal Dining Room, cherry Kitchen with 2018 stainless steel appliances & marble counters. Paneled Library, Great Room & Playroom. Expansive Master Suite + 3 additional large Bedrooms. Finished lower level with mahogany trimmed Recreation Room, mahogany Club Room, Office & full Bath. Tiered rear Deck, 3-car Garage." 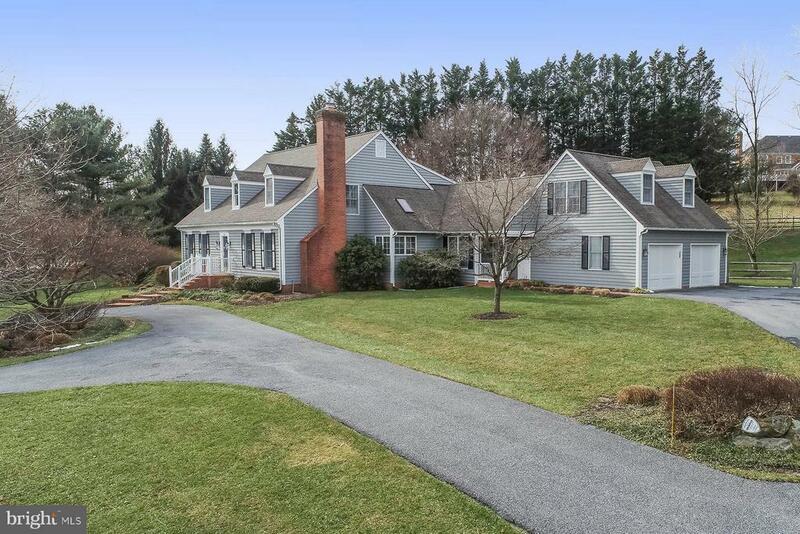 "Beautifully & seamlessly expanded 5 bedroom, 4/2 bath Colonial home on 2.43 acres. Foyer, formal living room with fireplace & dining room with built-ins. great room with fireplace flows to gourmet kitchen. Paneled den with fireplace, 1st floor office. Expansive master suite with spa bath. 4 additional large bedrooms including en-suite bedroom with private staircase access. Lower level recreation room. Covered entertaining porch, patio, deep back yard. Square footage as per appraisal." "An extraordinary custom Tudor style Estate home designed and built with the finest finishes and amenities for luxury living. 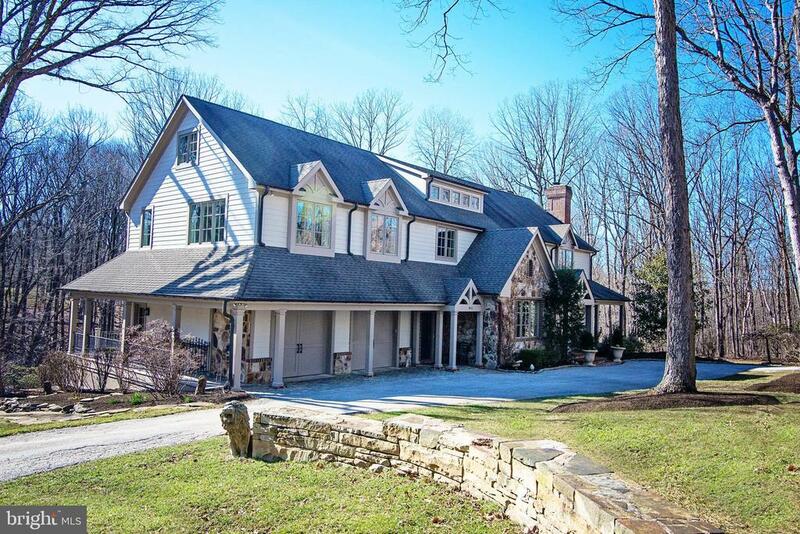 Overlooking the perfect setting of woods, stream and the Loch Raven Reservoir on almost 5 acres of private land. Polished elegance and sophisticated interiors begin as you enter the two story marble floored foyer with lustrous hardwoods throughout and a formal living room and dining room. Over-sized crown molding and trim throughout. Family room is vibrant with windows, skylights, and gas fireplace with a walkout to a 3 tiered deck and a one of a kind entertainment space. Kitchen is open to lunch room and family room. Dramatic views in every room. Entertain on one of the many decks with views of nature and water. Master bedroom is spacious and feels like you are sitting with the birds on top of the trees. His and her closet with an oversized jet tub and steam shower. Second floor family room with an additional Master suite and three additional bedrooms and two baths. Attic has high ceilings and could be finished off for an additional bedroom or living space. Basement is fully finished with two wood burning fireplaces, a custom bar, a movie theatre and a potential in law suite or additional rental with kitchen and separate entry. This home does not lack space, character or views in any room." 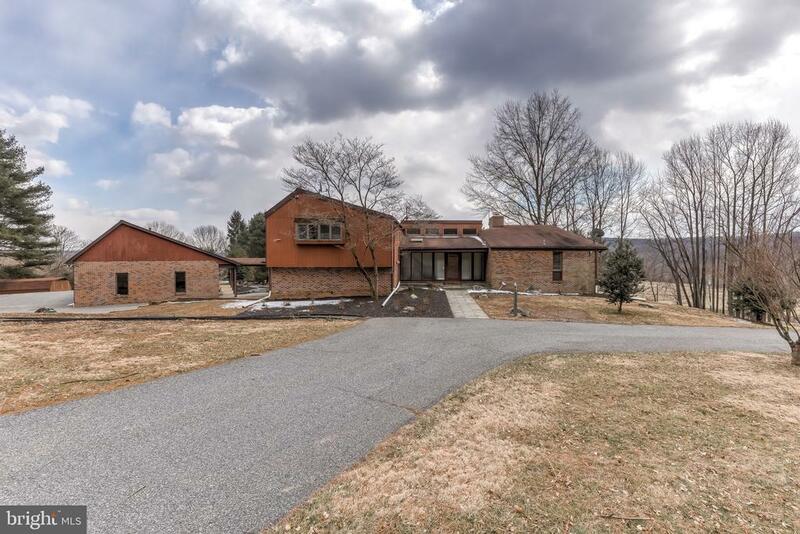 "Spectacular luxury home overlooking Hayfield Golf Course. Dramatic 2 stories great room with walls of glass sunroom.Formal Model Home. Total 7,324 finished Sqft/5BR/5Full BA/2Half BA/1.14 AC Green lot/ Fully Finished basement with 3 rooms, Full Bath and Walk-out Stair. Wet-Bar and ready to entertaining. Gourmet kitchen with sun-filled morning room. Brand new wall oven,~Updated Master Bathroom. New wine-cooler in Master bed-sitting room. Paid-off Solar panel offers you to saving utility bills. 3 car side entry garages. Conveniently located to I-83 & Hunt Valley Towne Centre. nearby Wegmans, movie theatres, shopping and fun." "MAKE AN OFFER! Owner said SELL SELL SELL! Beautiful solid brick grandeur with 4 luxurious bedrooms 3 full baths & 2 half-baths surrounded by 18 acres of glorious view, 2 wood burning fire places, 3 car garage, enormous eat-in kitchen with dinning area, 2 refrigerators, large Rec'-room in basement, a banquet-hall-like sun room leading to outdoor pool.SPECTACULAR VIEW. seeing is believing." 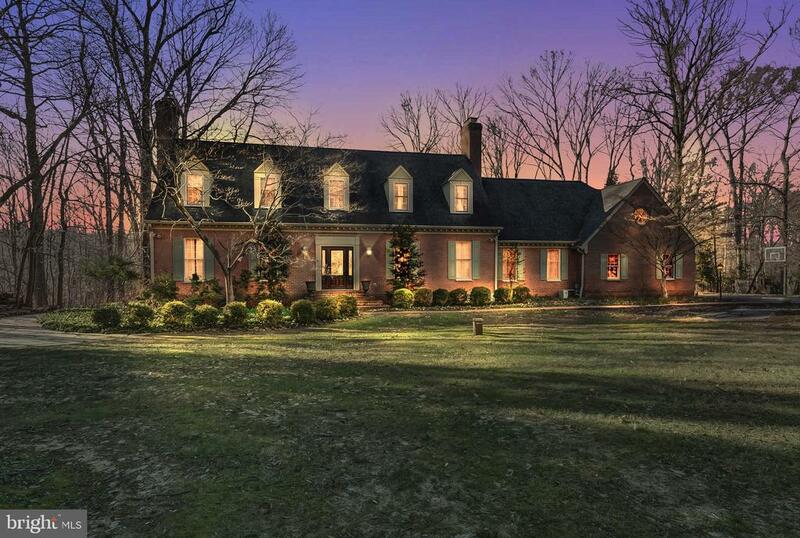 "Chic modern farmhouse on 4.8+/- majestic rolling acres. Smiles abound with spectacular zipline that runs along the meandering stream. Lives like new. Restoration hardware inspired renovation completed in 2018. Stunning, light filled cooking space flows seamlessly to dual great rooms anchored by double sided stone fireplace. Hyper functional floor plan with deluxe mudroom, homework room, music room & study with wall of windows. Master suite geared for restful slumber & zen like bathing experience. Expansive deck beckoning you to the outdoors. Sumptuous lower level with hearth room, wellness/cardio space, gaming area & guest suite with ample outdoor access. Truly a house that flows. Pinterest worthy aesthetic throughout. Unparalleled privacy in a neighborhood setting. Supreme locale in the heart of Western Run Valley. Only 5 minutes to Wegmans & 83. Come visit. It~s even better in person." "Warmth and sophistication are partnered with extraordinary materials in this elegant and well-designed 7,000 square foot brick Georgian home. Rich hardwood floors, plantation shutters, built-ins, three fireplaces, and high-end finishes grace this spacious home. The residence is outfitted with five generously proportioned bedrooms, including a tranquil fireplaced master suite with his and her room size custom fitted closets, a large open family room and kitchen, a first-floor office, and a remarkable lower level with bar, recreation room, wine cellar, craft room, and full bathroom. Meticulously maintained, there have been extensive updates to include an inspiring open flow chef~s dream kitchen with white built-in cabinetry, quartzite counters, an expansive custom prep and breakfast island with designer lighting, Calacatta marble backsplash, top-of-the line stainless steel appliances, and a large gas cooktop, new Pella replacement windows, updated systems with Nest thermostats, and an inviting heated inground pool with spacious patio, and professional landscaping throughout the partially fenced over one acre property." 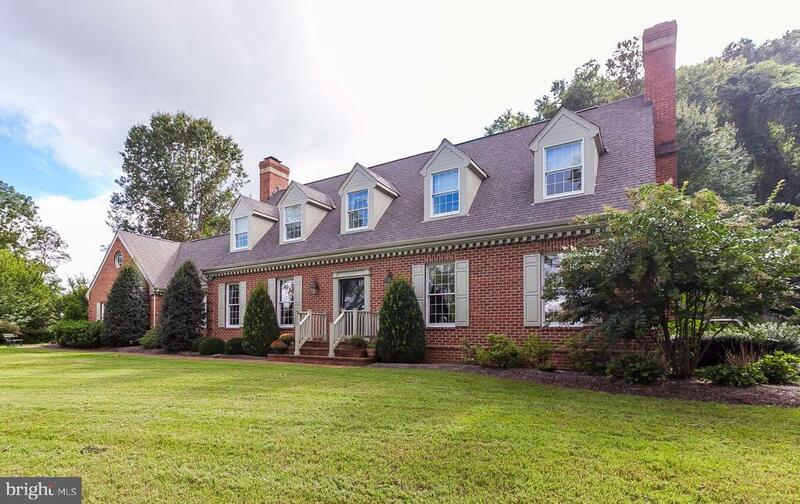 "Rarely available, custom-built Springhill Farm home situated on a private lot. 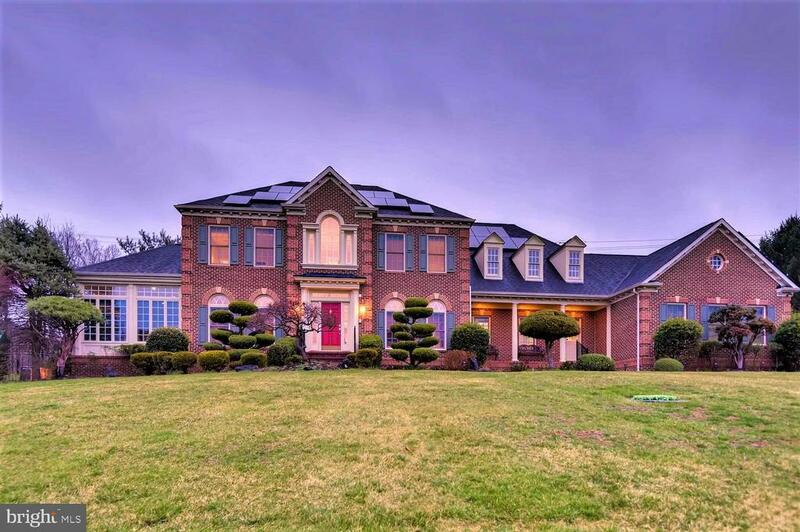 The circular drive welcomes you to this deceptively large, remarkably built custom home! There are endless upscale features including: two master suites, one on the first floor, multi-zone heating, & cooling systems, Chesapeake closets, custom built-ins, 1st floor office and inviting great/family room, two fireplaces, hardwood flooring, 2018 complete master bath renovation with frameless shower doors, and free standing tub, a large bonus room over the garage, an beautiful upgraded kitchen that opens to the family room. Exterior has been freshly painted and garage doors replaced. 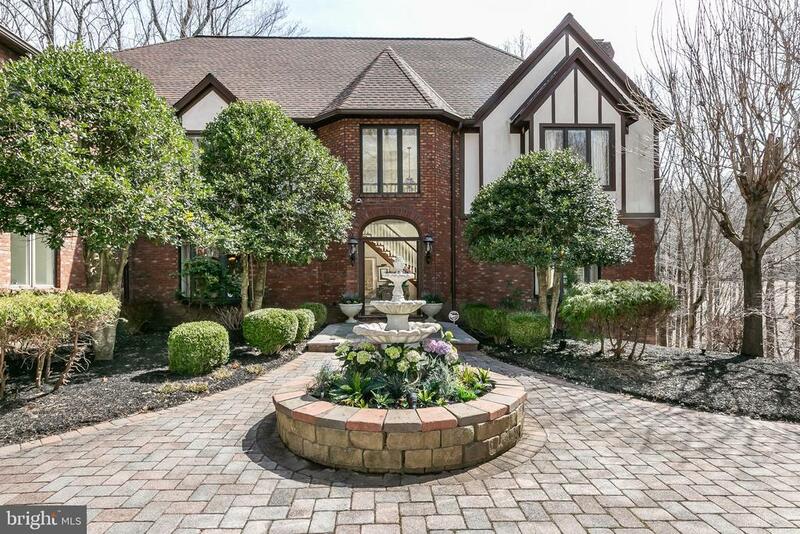 Wonderful opportunity to call this beautiful house off the Falls Road Corridor 'HOME!'" 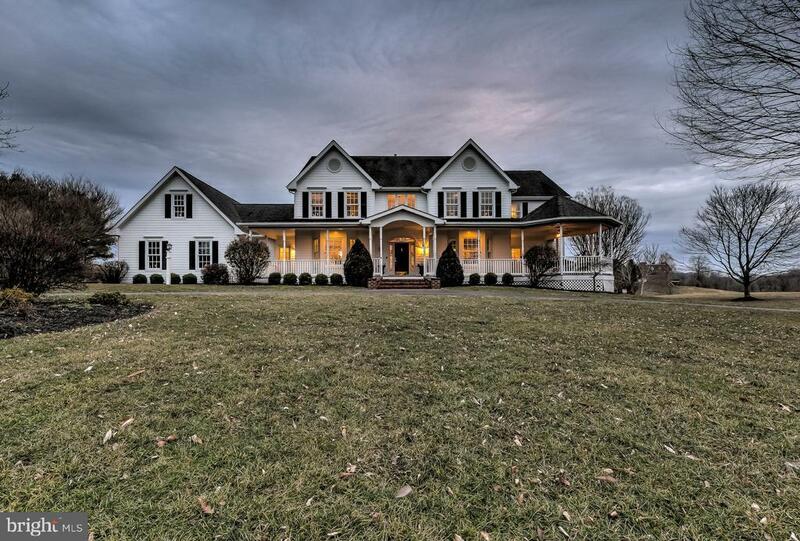 "Gorgeous custom colonial on 5.76+/- acres in sought after Nicholson's Manor. Light-flooded open floor-plan with a great flow for entertaining. Beautiful white kitchen. Oversized sunroom with private destination porch. First floor office with rich cherry built-ins. Peaceful master suite with sitting area, fireplace and his and her closets. Second floor laundry room. Finished walk-out lower level. Expansive deck overlooking the lush surrounding vistas. Incredibly convenient location, minutes to wegmans." "Exceptional renovation elevates this timeless classic. 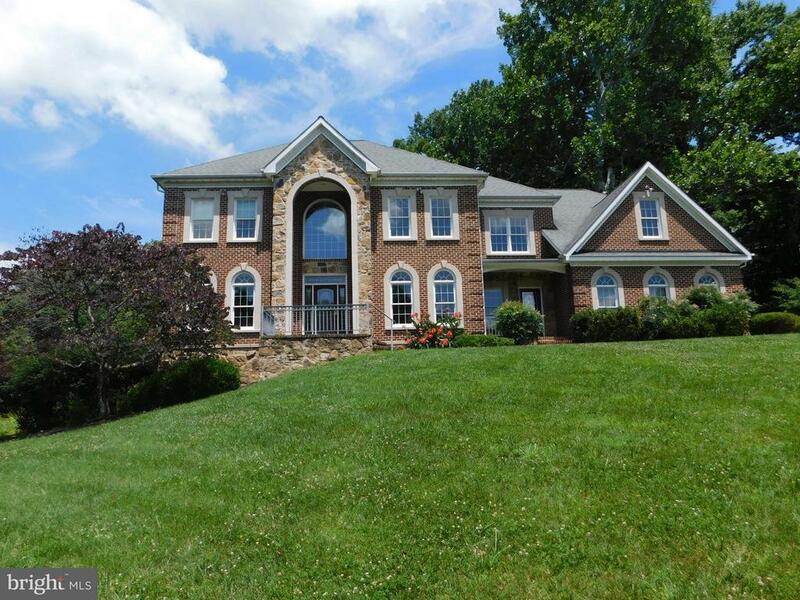 Nestled in the serenity of a gated community and adjoining Loch Raven Reservoir. Every design detail was carefully selected and quality crafted to create warm & inviting family spaces with an elegant yet casual feel. Inspiring two-story tongue & groove pine ceiling, Tiered Butler Fieldstone fireplace, tiered Butler stone patio with fire pit & custom stone pizza oven. Gandior Kitchen designed this gourmet kitchen (2014) with soapstone counters, Cusine Laurier soft closing cabinetry, 6 burner gas cooktop with griddle and center island overlooking your private oasis. New (2019) master bath with Carrera marble, Palm Beach vanities, Metro Collection soaking tub and enormous marble shower under skylights. State of the art geothermal heating and cooling (2011), synthetic slate roof and copper gutters (2011). R59 insulation, LED lighting throughout and custom air sealing makes this extremely energy efficient. 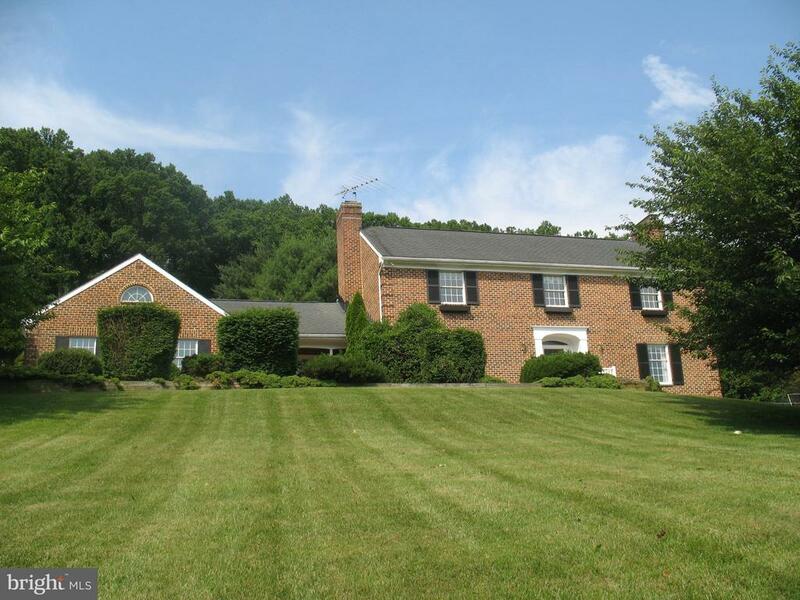 Fresh paint, new carpet and professional landscaped with Koi pond and bluestone walk." 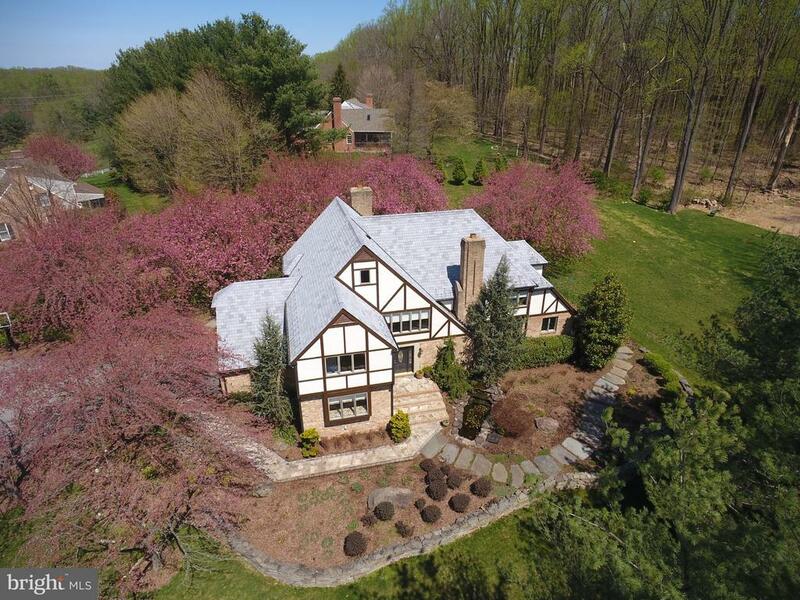 "This enchanting 4 acre private oasis is located on a private wooded lane in The Pines, a highly desirable executive community on the Falls Road Corridor known for its sought-after schools and convenience to Green Spring Station and Downtown Baltimore. The stone and stucco residence presents refined style and quality craftmanship with rich hardwood floors, ten-foot ceilings, custom doors and windows. Notable features include an open floor plan with a spectacular two-story family room outfitted with architectural windows, a breakfast sun room and gourmet cook~s kitchen, first floor office or bedroom, a cathedral three season porch, living and dining rooms. The upper level is comprised of two large en-suite bedrooms with walk-in closets, and an expansive master retreat with a spacious sitting room, private screen porch gazebo, his and her closets, and a luxurious master bath. The generously proportioned lower level offers high ceilings and windows, with the fifth bedroom and bath, stone fireplaced recreation room, wine cellar, exercise and media rooms, and a walk out to the more than four-acre property. The play area, stone patio, hot tub area, large deck, and three season sun porch are ideal for relaxing and entertaining. This special property offers the opportunity to live in the quiet serenity of nature, while close to the amenities of surrounding urban communities." "Beautiful Craftsman style home in the prestigious Ivy Hill neighborhood! Custom Home without the custom price. This spacious and light filled home offers with plenty of modern amenities including a gourmet chef's kitchen with top of the line appliances, tray ceilings, gorgeous hardwoods and very luxurious fit and finish! The attention to detail will not disappoint. Private home-site is spectacular views. Schedule your showing today. 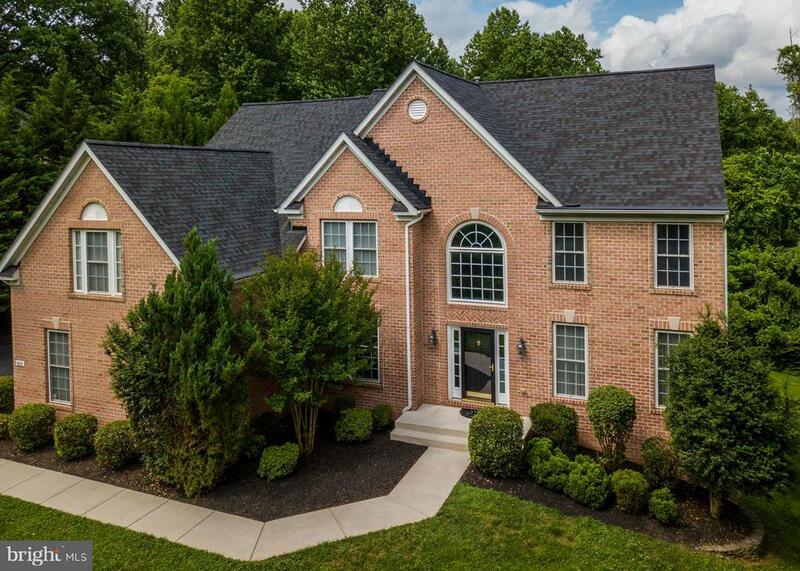 Convenient to I-83, Wegmans, & Hunt Valley Town Center. Home is to be built...pictures are samples." 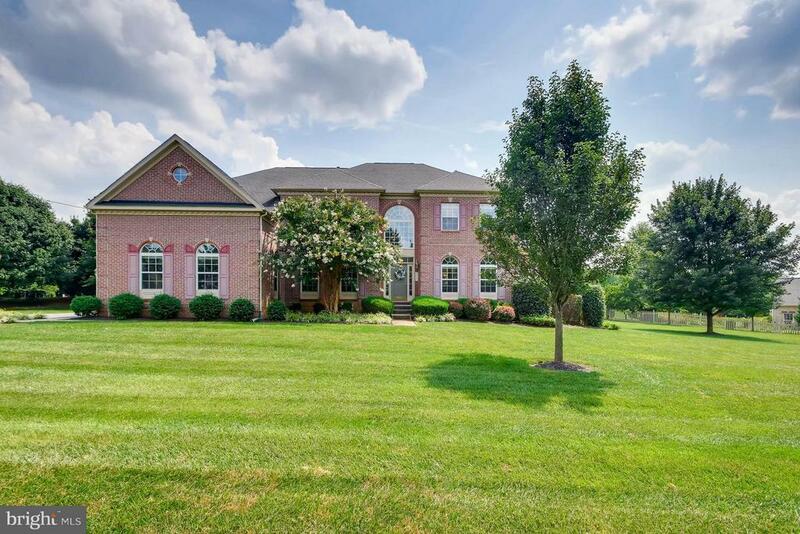 "Beautiful Brick/ Stone private custom home on 1.2 scenic acres in Hayfields Golf course community. Grand 2 sty Foyer with inlaid hardwood flrs. Gourmet Kitchen with FP, Huge Master bedroom/ Bath suite/room size closets. Family Room, Den and sitting room, 2nd Fl- 5 bedroom plus large playroom, 3rd floor has finished room also. Moldings and hardwood throughout. 3 fireplaces, hot tub, deck, patios." "**HUGE REDUCTION**GREAT VALUE**Move right into this gorgeous all brick estate in the heart of Ivy Hill! This home feels brand new with over $200K in updates and $100K done within the past YEAR! many BRAND new windows throughout this over 7,080 square foot house, redone master bathroom complete with beautiful soaking tub, new vanities, granite, 2018. Guest bath has also been totally remodeled 2018, new hardwood floors in family room, and all new hardware throughout the entire freshly painted house. There are a total of 4 bedrooms, 4 full bathrooms & 2 half bathrooms, 2 kitchens, one on the lower level & 2 fully lined cedar closets. The gourmet kitchen has a massive island complete with granite, stainless appliances, pendant lighting and mosaic backsplash. Enormous stone patio off the lower level that is fully enclosed 20' X 45' and another patio off the back that is 44' X 18'. 3-car garage w/brand new doors & openers. All located on 9+ acres in a park like setting. Low utility costs, 5+ of the acres are maintained for a very low cost as well. 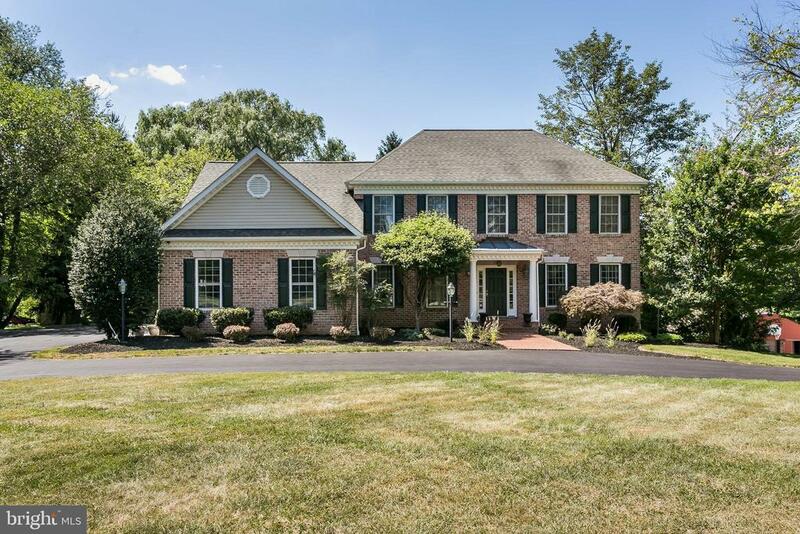 Enjoy all of the privacy, while still being minutes from 83, Wegmans, and Oregon Ridge." 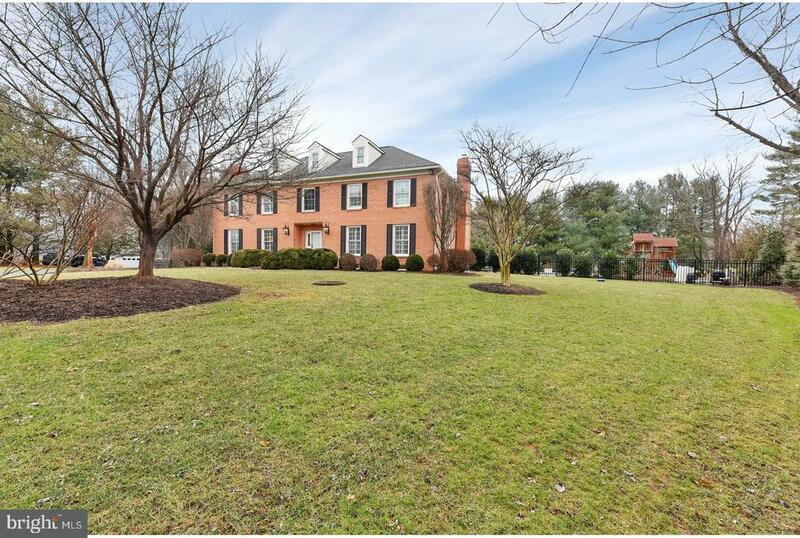 "Gorgeous 6,100+ square foot all brick colonial in PRIME location in Regents Club at Fallscroft Community. Bright & open floorplan- perfect for living & entertaining! Easy access to highways, shopping, schools & downtown. 1.45 acre lot with landscaping. 5 Bedrooms, 4 Full and 1 Half Baths, finished LL. 3 car garage. 1 year warranty included!" "NEW CONSTRUCTION! 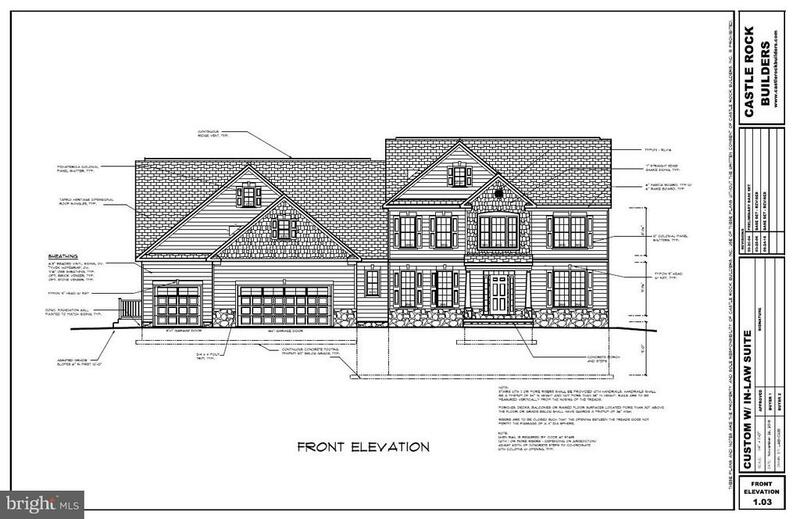 * TO BE BUILT* by Castle Rock Builders. The plan of this IN LAW SUITE home is currently under construction (under contract / sold) in another location for the Builder's client (just started construction) and can be viewed.................................................................................MAIN HOUSE ~ The almost 2,800 sq ft of living space includes an open floor plan with a large kitchen island overlooking an expansive family room with a fireplace. Included on the main level are a generous sized Breakfast Room, a large walk in Pantry, Dining Room, Study and a 1st floor Laundry Room and ~ bath. The second level includes a spacious Master Bedroom with a large walk in closet and 2 full baths. The Main Home also has a 2 car garage along with a fully excavated unfinished basement with 9 foot ceilings.......................................................................IN LAW SUITE (SEPARATE ~ One Level Living) ~ The separate IN LAW SUITE at 1,000+ sq ft of living space is integral to the Main House BUT is completely separate with it~s own full size kitchen overlooking the expansive Family Room, Craft Room / Study, Master Bedroom with walk in closet and Master Bath with large walk in shower. The In Law Suite also has it~s own garage, with its own entrance along with a fully excavated unfinished basement with 9 foot ceilings...........................................................Maybe the Holidays have or will bring to your attention the need for A TRUE IN LAW SUITE ~ Separate living quarters not in a basement, with its own garage and legally permitted. Assisted living costs can be financially devastating and this is an economically sound alternative............................................................................ ...................*lot is also available for sale with no builder tie in *"
"Magnificent estate property perfectly situated in private country setting just minutes from Hunt Valley. Features spacious +/- 5000 sf contemporary with oversized 3-door detached garage/workshop, koi ponds, gazebo, garden paths and more. Potential for 2 master bedrooms (main and upper level). Breathtaking views from expansive outdoor living areas and nearly every room in the house. Enjoy vaulted ceilings, all seasons room with heated floor, circular drive and several separate parking areas - perfect for entertaining. Must see to appreciate incredible potential to put your own touches on this estate property. A rare gem." "NEWLY IMPROVED PRICING - Look at this bea - The former Ashland Schoolhouse is an incomparable residential property with deep roots in Baltimore History.While the exterior has remained largely unaltered, the interior of the building was changed in 1930 from the 2-room schoolhouse to that of an upscale private residence, still incorporating the 25 foot barrel-vaulted ceiling with exposed beams & trusses.The structure was individually listed in 2000 to the National Register of Historic Places, is a Maryland Heritage Property & is a Baltimore County Landmark. A masterful blend of past & present , the property offers a Main House w/3 BRs, 2 FBs, a Guest House w/1 BR & 1FB along with an in-ground pool & 2 car garage. The architectural windows, marble exterior, slate roof & spacious rooms only enhance the glamour of the residence. Modern amenities such as the updated kitchen w/quartz counter tops, SS appls & radiant heat porcelain tiles are first rate. The bathrooms in the Main House are all Italian & Spanish Marble with radiant heat floors. The Master Bath has a walk - in, steam shower, a fully programmable turbine-powered tub w/a heated backrest , LED color illuma-therapy lights, & radiant heat floors that offer true modern day luxury for the new owners.The Marble Stone form the nearby Beaver Dam Quarry (also used to construct the Washington Monuments in Baltimore & DC, the US Mint & other major buildings in Baltimore & DC) sets the tone on the exterior of this gracious home.The architectural windows bathe the home in wonderful light especially in the living room, front office and Master Suite.A 10-Station Irrigation/Sprinkler system covers the front, rear and side yards.Be sure to see the Property Website and Virtual Tour for additional information.https://spws.homevisit.com/hvid/243840"
"Fabulous Colonial w/2 Story Foyer, Open Floor Plan, Hardwood Floors & 9 Ft Ceilings on 1st Floor* Gourmet Kitchen w/Granite Counters, Cherry Cabinets, SS Appliances & Island* Breakfast Area w/Sliders to Screened in Porch overlooking level yard* 1st Floor Study* Spacious MBR w/Wall of Windows, Gas FP, Super Bath & Walk-in Closet* Finishe LL w/Walkout* 3 Car Garage* Freshly Painted & New Carpet* Fab Loc!" "This Is The One You've Been Waiting For! Stunning Home! Private Lot Surrounded By Woods. So Convenient To Local Hunt Valley Shopping and Downtown, And So Many Seller Updates! 2017 Kitchen Reno w/ Quartz Counters, Wolf Cooktop, Double Wall Ovens, Slate Finish App. 2016 Luxury Spa Bath Remodel w/ 4x5 Frameless Shower, Bubble Massage Soaking Tub, Porcelain Tile Floor, Quartz Counters, 2015 New Roof, 2014 Zone 1 CAC, 2010 Brazilian HW Walnut in MBR, 2007 Finished LL w/ Built-ins / Shoji Screens!" "IMPRESSIVE CUSTOM-BUILT HOME IS IMMACULATE & WELL-MAINTAINED OFFERING SPACIOUS, WELL-PROPORTIONED ROOMS. AMENITIES INCLUDE: CUSTOM MOLDINGS & WAINSCOTING, GLEAMING HARDWOOD FLOORS, A STUNNING ENTRY FOYER WITH 18 FOOT CEILING. THIS HOME IS A PERFECT BLEND OF CASUAL & ELEGANT LIVING SPACE. THE BRICK EXTERIOR, MATURE LANDSCAPING & VERY PRIVATE BACKYARD REFLECT THE ATTENTION TO DETAIL FOUND IN BOTH THE INTERIOR & EXTERIOR. THREE ZONE HVAC OFFERS ENERGY EFFICIENCY. HOME SITS BACK FROM THE ROAD & OFFERS BEAUTIFUL VIEWS. THE LARGE BRICK PATIO IS EASILY ACCESSED FROM THE FAMILY ROOM. A GREAT LOCATION THAT IS CONVENIENT TO EVERYTHING. NEW ROOF IN 2019." 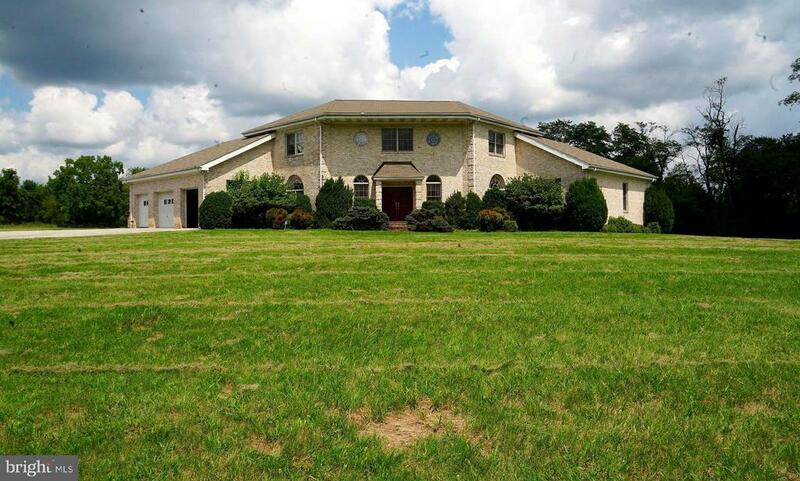 "Elegant colonial house located on 3 acres of land. Gleaming hardwood flooring throughout the main floor and bedrooms. Renovated kitchen with granite countertops, stainless steel appliances, & wine rack. Large family room with french doors leading you to brick patios on the front and back.Fully finished walk-out lower level with newer carpet offers a full bathroom and a private room. Recent updates include brand new garage doors and motors, upper level A/C, water softner system and diswasher. Roof 2013 with another five-year warranty transferable."